Colour Pictures is a boutique and bespoke agency based in Central London. We represent actors from diverse backgrounds and believe that their heritage actually empowers them as unique performers. Our commitment to excellence in the acting craft makes us a specialist agency that our experienced partners want to work with; across Film, Television, Radio, Commercial and Theatrical industries. We have substantial insights into what makes an appealing actor, with over a decade of international experience behind us. Our focus is to attain featured roles in mainstream domestic and international projects for all of our actors. Basit graduated with BA (Hons) from the University of Cambridge in 2008 and attained his MA in 2012 from Queens’ College in Social and Political Sciences. He trained as an actor at Anupam Kher’s Actor Prepares before attending RADA where he trained under Vivian Munn and Dramaturg Lloyd Trott in 2012. Basit made his debut in Hindi cinema with Nikhil Advani’s Patiala House alongside veteran actors Rishi Kapoor and Akshay Kumar in a pivotal role before returning to the UK where he set up his own production house in 2011. He has since been working as a professional Film Writer, Director and Producer and his debut feature film ‘London Kahanis’ secured distribution with Shorts International at the Festival De Cannes in 2012 and 2013. He has since returned to the prestigious festival in 2018 with a short film he wrote, Jamal. 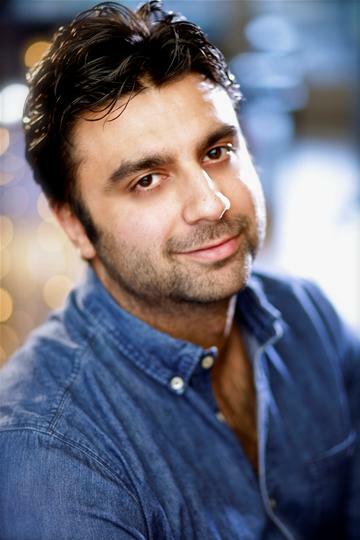 He is a prominent figure in the British Asian media and launched Colour Pictures in 2018 to be the agency of diversity representing London’s best multicultural talent with a focus of securing featured roles in mainstream work. Basit is passionate about the film making craft but has an extensive international network which helps to secure good opportunities for his clients in Films, Television, Commercials and Theatricals. He is a firm believer in the Japanese concept of Kaizen (continuous improvement) which he uses as a principle guiding force when working with actors in his agency. Colour Pictures is home to actors who are striving to reach the top of the industry through professionalism, hardworking and commitment to the acting craft. Excellence follows in the footsteps of commitment and tenacity. Lucy is a graduate from the University of Oxford where she attained a BA in English Literature and joined the Colour Pictures team in 2018 to begin her career as a talent and literary agent. She is an integral part of the Colour Pictures team. If you are an actor seeking representation, please email us at info@colourpictures.co.uk with your headshots, a copy of your acting CV and a covering letter outlining your acting experience thus far and your aims and ambitions going forward.